Australia that has been specifically built to provide loans to education. The offering is available online and will include loans to students in both the vocational and higher education sectors. 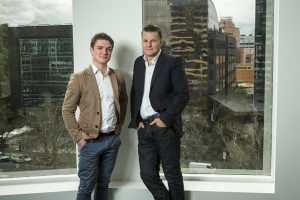 Backed by big corporate names such as the Simonds Group and RMY Corp, the fintech will work directly with education providers to track student progression and funding needs as they complete their studies. Study Loans has raised $5 million debt equity to distribute for the first tranche of loan applications, with help from investors Simonds Group and RMY Corp. They’ve also completed an additional seed round of $2 million equity to get the business off the ground. To find out whether they’re able to apply for a loan, students can look at the list of course providers on the Study Loans website at https://studyloans.com.au/.